DiMarco (ankle) was a full participant in Thursday's practice session. Analysis: DiMarco's full practice likely means he's set to play in Sunday's game against New England. 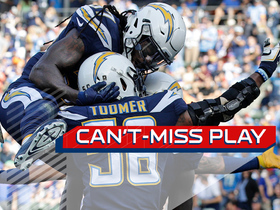 The veteran fullback has been targeted in the passing game just four times this season, hauling in three catches for 62 yards while carrying the ball only once for nine yards. He'll figure to see his usual role as a blocking option for the Bills in Week 16. 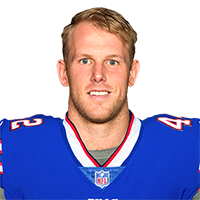 DiMarco was a limited participant during Wednesday's practice with an ankle injury, Chris Brown of the Bills' official site reports. 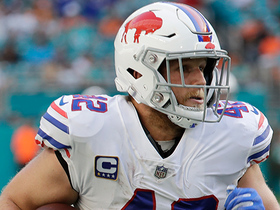 Analysis: DiMarco briefly became a surprise option in the rushing attack Sunday against the Lions, as the Bills were without any healthy running backs for a moment before Keith Ford was able to make a quick return following his minor scare. The veteran fullback did draw his first carry -- a nice nine-yard power run -- but that may be it for him on the ground this season. In seven NFL campaigns, it was only the fourth time he's toted the rock. 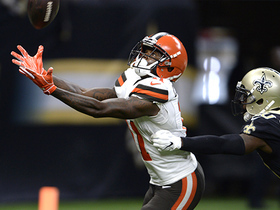 Take a look at the best catches from Week 2 of the 2018 NFL season. 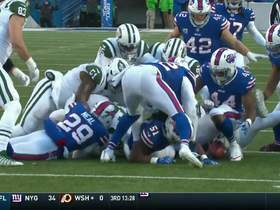 Buffalo Bills fullback Patrick DiMarco secures the ball for a 24-yard gain despite bad pass made by quarterback Josh Allen. 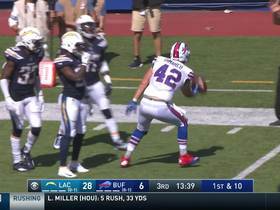 Los Angeles Chargers linebacker Korey Toomer takes tipped ball INT to the house for a touchdown. 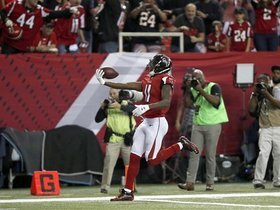 NFL Network's Nate Burleson breaks down the dynamism of the Atlanta Falcons offense and the other offensive options besides wide receiver Julio Jones. 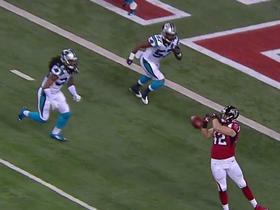 Atlanta Falcons QB Matt Ryan completes a 1-yard TD pass to fullback Patrick DiMarco. 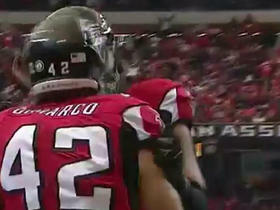 Atlanta Falcons quarterback Matt Ryan hits fullback Patrick DiMarco for his 2nd touchdown of the game. 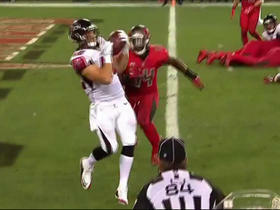 Atlanta Falcons quarterback Matt Ryan finds a wide open Patrick DiMarco for the 15-yard touchdown. 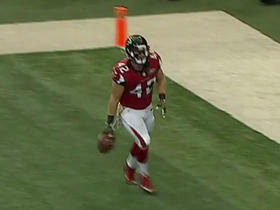 Atlanta Falcons fullback Patrick DiMarco can't hold on to the ball on an easy catch and score.